The Probationary Driver Program (PDP) for new drivers. The Driver Improvement Program is a classroom course provided by approved New Jersey-licensed providers throughout the State. You will have received a notice in the mail from the MVC giving you the option to take this course*. This program is offered in lieu of a 30-day suspension for drivers who accumulate 12 to 14 points in more than two years. More detailed information about the program is included in the Notice of Scheduled Suspension that you receive in the mail. Up to three points will be removed from your driving record if you successfully complete the program. A $75 administrative fee payable to the MVC is required prior to scheduling a class with a New Jersey-licensed provider. Drivers will be required to pay an additional training fee to the provider for the classroom instruction. *A Defensive Driving course IS NOT a substitute for the Driver Improvement course. Drivers that are issued a driver's license permit for the first time are probationary drivers and will have to serve a two-year probationary period. While in the probationary period, drivers who are convicted of two or more moving violations with a total of four or more points, will receive a Fee Due notice to pay for and enroll in the Probationary Driver Program to correct improper or dangerous driving practices. This program is a four-hour classroom program provided by approved New Jersey-licensed providers throughout the state. Up to three points will be removed from your driving record if you successfully complete the program. A $75 administrative fee payable to the MVC is required prior to scheduling a class with a New Jersey-licensed provider. Drivers will be required to pay an additional training fee to the provider for the classroom instruction. *A Defensive Driving course IS NOT a substitute for the Probationary Driver course. The defensive driving course is a voluntary course. If you received a notice in the mail from the MVC giving you an option to take a Driver Improvement Program, or a notice to take the Probationary Driver Program, please read above content under Remedial Driver Programs for details. The classroom providers are listed in random order for customers to select a school which best suits their needs. New Jersey Safety Program, Inc.
DTA Program for Driver Improvement Driver Training Association, Inc. Web site links are listed in random order and are provided as a service for customers to select a school which best suits their needs. This course is specifically designed for New Jersey’s mature drivers 55 years and older. 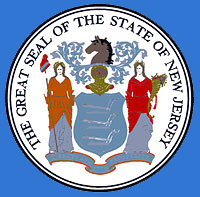 One out of four New Jersey residents is 55 years or older. This ratio is expected to increase in the coming years. Mobility by driving is essential for this group.